Every second counts when lives and properties are at stake in emergency situations. Apple aims to improve the 911 response time with a new iOS 12 feature. The tech giant has announced an iOS 12 feature that will “securely and automatically” share your exact location with the first responders when you make a 911 emergency call. Unveiled at WWDC earlier this month, the iOS 12 is currently in developer beta phase. It will be released to the public this fall. It is based on Apple’s own HELO (Hybridized Emergency Location) and RapidSOS‘s Internet Protocol-based data pipeline. Apple had introduced the HELO in 2015. It estimates a mobile 911 caller’s location using GPS, WiFi Access Points, and cellular towers. RapidSOS will securely deliver the HELO location data of the caller faster than ever before. 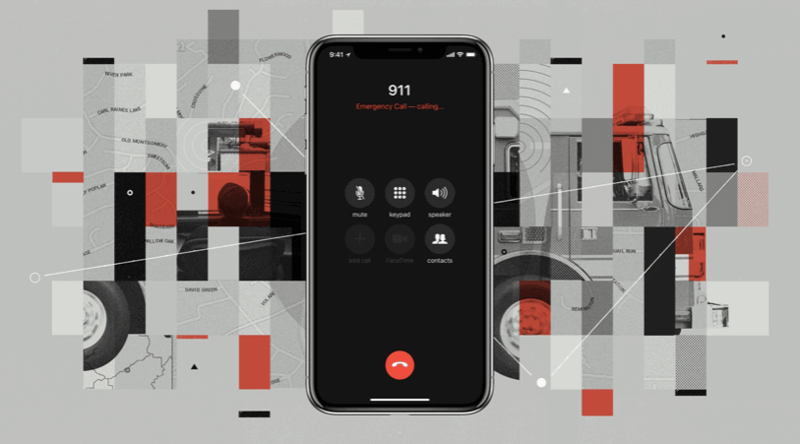 To do that, the emergency technology firm will integrate its system with the existing software of 911 centers and the iOS 12. RapidSOS already offers an iOS app called RapidSOS Haven that allows users to share their location data with 911. The iOS 12 will have the same functionality built-in, which means users can take advantage of it without having to install the RapidSOS Haven app. The new iOS 12 feature will be useful only to people in the US, at least for now. Apple CEO Tim Cook said in a statement that it will “help first responders reach our customers when they most need assistance.” The tech giant assured users that their location data will be used only by emergency services. The data will not be used for any non-emergency purpose. The Federal Communications Commission (FCC) requires wireless carriers to locate the callers within 50 meters at least 80% of the time by 2021. The new iOS 12 feature will allow users to share location data with 911 centers with far greater accuracy. It will help save lives and protect property, says Rob McMullen, President of the 911 Association. The iOS 12 will be available for compatible iPhones, iPads, and iPods in September. The new software focuses primarily on performance and stability improvements. Apple claims the iOS 12 will allow apps to load faster than before, even on older iPhones. It also brings many new features such as personalized Animojis called Memojis, a revamped Do Not Disturb tool, and Group FaceTime support for up to 32 people. With iOS 12, the Face ID technology will support more than one faces, allowing users to let their spouse or children unlock their device. The software will also fill in the one-time password from Messages to the relevant app. It will eliminate the need to go back to Messages, memorize or copy the OTP, and then paste it in the service you are trying to access. Apple’s new mobile software also has a feature called USB Restricted Mode that automatically blocks access to USB accessories if the device hasn’t been unlocked in the last hour. It aims to prevent hackers, identity thieves, and law enforcement agencies from accessing your iPhone using USB-based tools such as Cellebrite and GrayKey box. Both the GrayKey box and Cellebrite are popular among law enforcement agencies and criminals. Grayshift, the company behind GrayKey, recently said that it had already found a workaround to Apple’s USB Restricted Mode.